Get ready to rock this holiday season during The Salvation Army's sixth annual Rock the Red Kettle concert. Taking the stage will be some of music’s top up-and-comers, including returning headliner Becky G, with additional performances from rising singer songwriter Jacob Whitesides and rising young pop artist Jake Miller. The free concert, which will take place on Saturday, December 5 at 5 p.m. PT at the L.A. LIVE Event Deck in Downtown Los Angeles, will be streamed live on RedKettleReason.org. This year’s Rock the Red Kettle performers will also share their personal motivations for giving by posting their #RedKettleReason throughout the holiday season and inviting their fans to do the same. Fans can also win awesome prizes for sharing their #RedKettleReason in the weeks before the concert. The Army is partnering with Teen Vogue to give fans the chance to win a retweet from their favorite performers, a trip to L.A. to attend the Rock the Red Kettle concert or even the chance to meet the artists before the show. For more information, visit teenvogue.com/redkettlereason. “I’ve been really inspired to learn about all the great things The Salvation Army does,” said Jake Miller. ""It’s an honor to perform on their behalf and celebrate giving back during the holidays." In addition to Becky G, Jacob Whitesides and Jake Miller, this year’s concert will feature other up-and-coming artists including Quinn Martin, Alec Bailey and Tahj Mowry. Rock the Red Kettle will raise awareness of the 125th annual Red Kettle Campaign, the oldest charitable fundraiser of its kind in the United States. 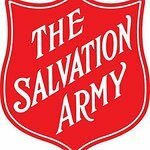 Money raised during the campaign helps The Salvation Army serve approximately 30 million of America’s most vulnerable through an array of social services, including food for the hungry, shelter for the homeless and toys for children at Christmas. The concert will be streamed live on RedKettleReason.org so music fans and young philanthropists near and far can join in on the fun. In addition to giving online or to the more than 25,000 Red Kettle bell ringers found on street corners and retail entrances across the country, supporters can donate through the Army’s text-to-give program. By texting the word “KETTLE” to 80888, donors can send $10 to the Red Kettle Campaign through December 24. From its humble beginnings as a San Francisco donation collection by Salvation Army Captain Joseph McFee in 1891, the Red Kettle Campaign has grown into one of the most recognizable and important charitable campaigns in the United States. It enables The Salvation Army to provide Christmas toys for kids, coats for the homeless, food for the hungry and countless social service programs year-round. To learn more about the event and get tickets, visit redkettletickets.com.